The masses at this church incorporate enough moonshine and animal sacrifice that they are no longer recognizably Catholic. 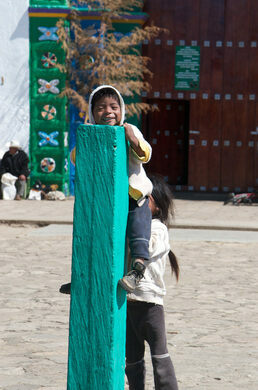 Chamula is home to a church unlike any other, though you wouldn’t know it from the outside. The picturesque, centuries-old Iglesia San Juan has whitewashed walls and a brightly painted entrance that looks out upon the town square. Inside, however, worshipers engage in unique rituals that involve Catholic saints, moonshine, outpourings of emotion, and animal sacrifice. 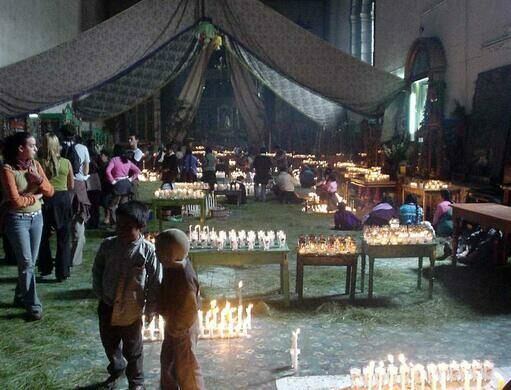 Upon entering visitors are overwhelmed by the aroma of copal resin incense and smoke from thousands of candles. The walls are lined with statues of saints adorned with mirrors to ward off evil. There are no pews; fresh pine needles carpet the otherwise empty floor from front to back. Worshipers spread themselves out in small groups. Each family sweeps a space clear for themselves and adheres an assortment of candles directly to the tiles. They allow the candles to burn completely during and after their personal ceremonies, leaving behind puddles of multicolored wax. Worshipers pray aloud in Tzotzil, sometimes weeping and repeatedly making the sign of the cross. They drink Coca-Cola and “pox”—the regional distillate—and burp with the intention of evacuating malicious spirits. Sometimes the family is joined by a curandero who may lay their hands upon the afflicted, absorb their maladies into a chicken egg or cure them by waving a live hen overhead. In extreme cases they then kill the chicken right there. This unique blend of Catholic and indigenous beliefs is the result of 500 years of cultural competition. Soon after their arrival in the 1520s, the Spanish began to co-opt aspects of indigenous spirituality to placate the local Maya. 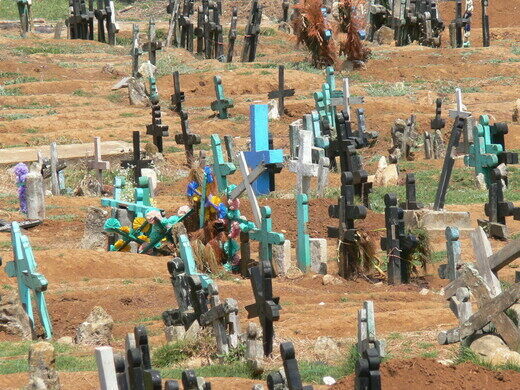 Later, the native people began to blend their traditional rituals with the Catholic ones introduced by missionaries. Internal tensions between Catholic Chamulans and a growing number of Protestant converts grew steadily throughout the 20th century, with the converts being forcibly exiled from the community. 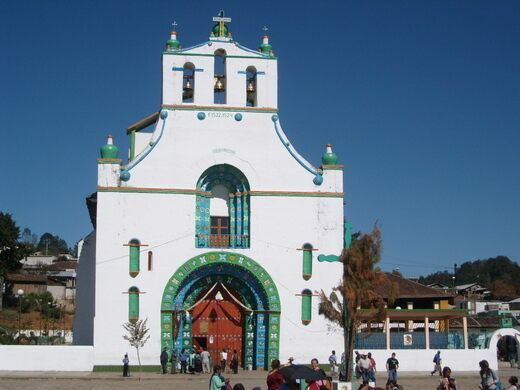 In the 1970s the Catholic diocese attempted quell the conflict in Chamula, as well as stop some of the indigenous rituals, by withholding mass. 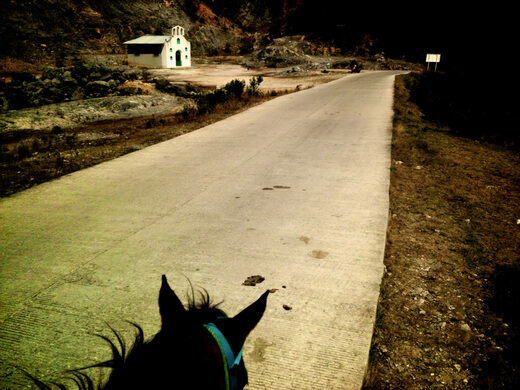 But this area of Chiapas, home to the leftist Zapatista rebels, has a reputation of fierce independence. Rather than comply, the Chamulans installed their own religious leaders and dropped any pretense of standard Catholic ritual. Today, the community’s contact with a traditional priest is restricted to a monthly visit for baptisms. Outside visitors won’t recognize the daily rites they witness as Catholic. The local Tzotzil people do not allow pictures to be taken inside the church. Those caught taking photos have had their cameras smashed in the past. In general, it is disrespectful to photograph indigenous people without permission in Chiapas. 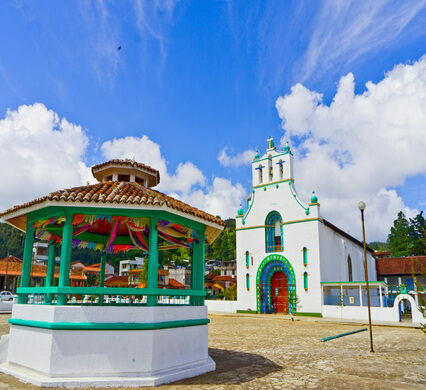 Most visitors come to San Juan Chamula from San Cristobal de las Casas. 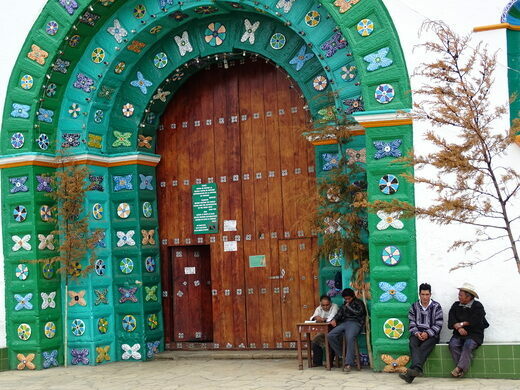 Many tour providers offer day trips that include the church and neighboring town of Zinacantán. For those who wish to go on their own, you can hop on a collectivo (found at the intersection of Calle Honduras and Avenida 16 de Septiembre) or hire a taxi. When you get to the church purchase a ticket to the left of the entrance. The area is particularly busy on Sundays because the town holds a large open air market on the square in front of the church. Tens of thousands visit the church each year on June 24th, the Saint’s Day of St. John the Baptist.